Con Dao (Côn Đảo) Museum is a well-known historical relic in Con Dao, Vietnam. This impressive museum contains more than 2000 exhibits. It also includes lots of documents and artifacts that reflect a heroic period of Vietnamese people and accuse the brutal tortures of the imperialism and colonialism. Around 13 km away from the airport, this museum is located opposite the Pier 914 (Cầu Tàu 914), close to other historical sites in Con Dao such as Phu Hai Prison, Hang Duong Cemetery, and Phu Son Camp. 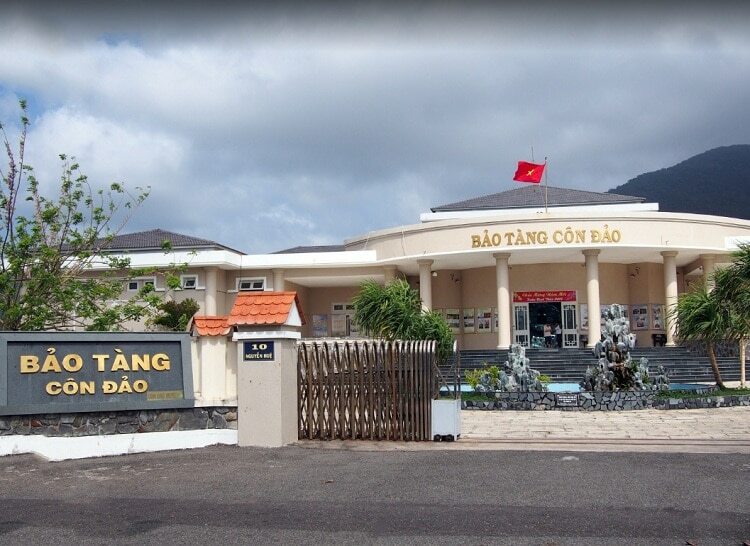 Con Dao Museum is the place for tourists and local people to explore historical values together with the heroic sacrifice of Vietnam soldiers at this sacred land during the struggle for national independence. I. What Is The Best Time To Visit Con Dao? From October to May is the best time to visit Con Dao because the rainy season is beginning from June to September. You can visit Con Dao from March to June when the sea is calmest if you’re on honeymoon and seeking a quiet place with a romantic. Con Dao museum is built on two hectares of land, with an area of 3,570 square meters, particularly with an exhibition area of about 1,700 square meters outdoor and indoor, promising to bring visitors the marvelous experience about the history of Vietnam from the part in Con Dao. The museum was the lords’ island house before the Liberation Day. The aim of the museum is the function of a place to restore the historical and cultural heritage of Vietnam. It also serves the development of Con Dao district, particularly tourism in Con Dao. Currently, about 2000 artifacts including blocks of artifacts, documents, and photographs are exhibited under four topics: Con Dao – Nature and People, Battle, The Living Hell, Revolutionary School & Con Dao Today in Con Dao Museum. Con Dao Museum includes storages of artifacts and restoring artifacts and documents, exhibition room, offices, main hall, and other ancillary works. The indoor galleries occupy around 1,700 square meters, consisting of a large space for significant events along with a showroom with four galleries: Con Dao – Hell on earth, Con Dao – Revolutionary School, Con Dao – Country and People, and Con Dao – Today. The outdoor exhibition has documents, artifacts, and models featuring the past and present of Con Dao Island. This museum is its display categories that are insightfully associated with the history of Con Dao development and the cruel crimes of the American Empire and the French colonial government. Visitors coming here have opportunities to explore about Con Dao local people. In addition to this, in this museum, there are collections of archaeological artifacts in Con Dao including Ba Con Island grave, geographic location displays, or excavation holes of Cau island’ ancient village and so on. Coming to the museum, visitors have an opportunity to look at pictures and portraits of political soldiers and prisoners in Con Dao, or images of brave and resilient fights of revolutionary soldiers. Besides, you witness materials that describe the sentence to death of multiple communist soldiers consisting of the heroic martyrs – Vo Thi Sau. Furthermore, tourists will be introduced to the “hell on earth” where U.S. imperialism and French colonialism applied brutal and terrible tortures for Vietnamese political prisoners. You will understand more about the inexcusable crime of the imperialism and colonialism through historical relics of Tiger Cages, Prison 1, Prison 2, Prison 7, and byre. While visiting this museum, you will have chances to understand patriotism and national pride of Vietnamese people and sacrifices for freedom and independence of the country. 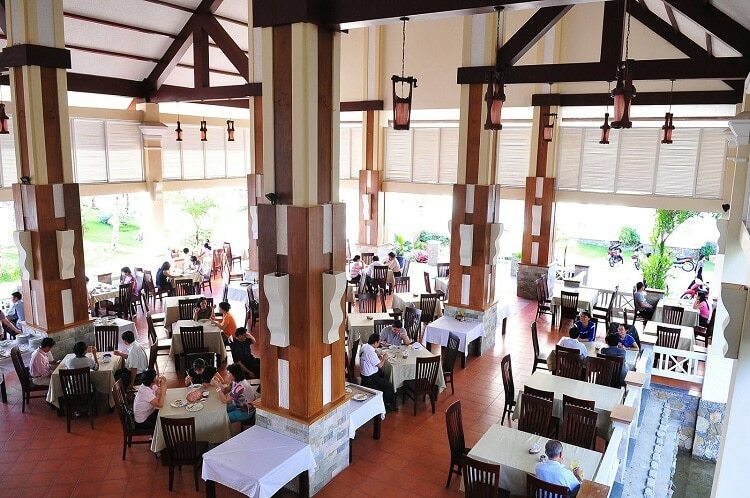 The tastiest seafood is one of the best things Con Dao offer. Good local restaurant with delicious seafood and excellent service may be most of the things for which a tourist thrives. -Villa Maison Con Dao Boutique Hotel, 46 Nguyen Hue Street (8 km from Con Dao Museum). 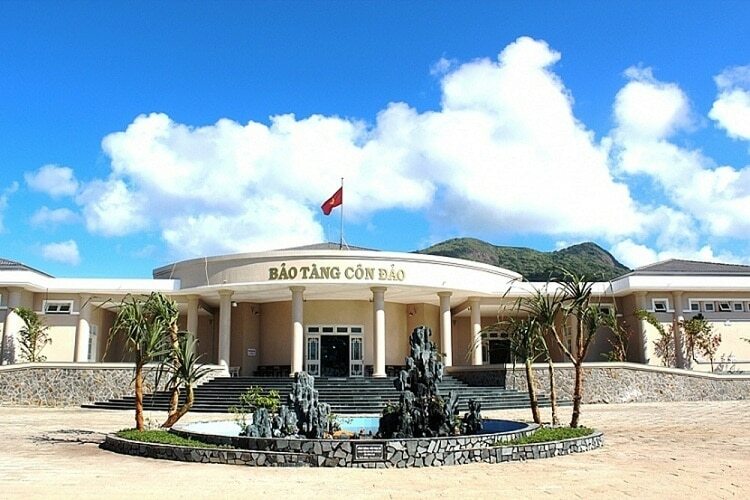 Let’s discover Con Dao museum one day to learn more about the dire wars in Vietnam from the past. Just only 15 to 20,000 VND, you will have a meaningful tour of visiting Con Dao Museum. If you have any questions, let’s leave in the comment below, we will answer them as soon as. To get more info about other destinations of Vietnamese tourism, visit our Vina homepage.